(FinalCall.com) - Depending on what time of the day you’re on Twitter, you’re subject to see all kinds of madness become trending topics. There have also been some global revolutionary causes trending as well with the use of hashtags. A trending topic on Twitter can result from a particular word, phrase, show or event that is heavily used or discussed by a concentrated amount of persons during a particular time interval. The most popular topics will appear in the “Trending Topic” section on the homepage. A hashtag is a phrase prefixed with a “#” sign and allows users to group posts together by topic; making it easy to follow and search Twitter for a particular interest, discussion or event. Since embarking upon his new 52-week lecture series, “The Time and What Must Be Done,” the Honorable Minister Louis Farrakhan has called on the youth, Student Ministers and Believers of the Nation of Islam to use Twitter and Facebook to create intelligent dialogue centered on his hour-long broadcasts. Coupled with the fast-typing youth and young adults, NOI student ministers from across the country and parts of the globe have responded to the call! Every Saturday evening at 6pm CST, they are logging into Twitter and live tweeting quotes from Minister Farrakhan with the hashtags #TheTime and #Farrakhan. Simultaneously they’re sharing his words on Facebook and Instagram in creative ways, such as combining attractive quotes with eye-catching imagery. 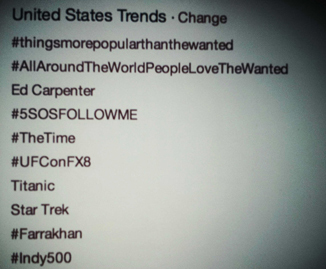 This budding concerted effort, known in cyberspace as the #FarrakhanTwitterArmy, has resulted in #TheTime and #Farrakhan becoming national trending topics on multiple occasions on Twitter. Even non-members of the NOI have begun to join in this digital propagation of the truth. During Parts 18 and 19, which aired May 11 and 18 respectively, thousands of tweets from the twitter troops could be seen going down Twitter timelines at a non-stop rate. 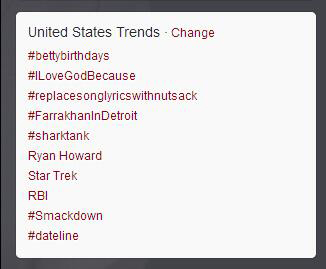 Thus, #TheTime and #Farrakhan trended nationally; surpassing some popular shows and NBA playoff games! Also, #Farrakhan was trending May 12 during his Mother’s Day address and on May 17 under the hashtag #FarrakhanInDetroit when he spoke at Fellowship Chapel in Detroit. Is the enemy pleased with this? Of course not. This is why Twitter attacks against the #FarrakhanTwitterArmy is ever increasing, and is presenting the Believers with any opportunity to join Minister Farrakhan on the digital battlefield and engage the opposition in the best manner. 1. Throughout the week, tell your Twitter and Facebook friends to watch Minister Farrakhan’s weekly series at 6 p.m. CST online at www.NOI.org/TheTime. Also, suggest they go back and watch the episodes they missed. 2. Every Saturday at 5:00 p.m. CST, log into your Twitter and Facebook accounts to remind your followers and friends to tune in! 3. From 6-7 p.m., join us in tweeting salient points being made by Minister Farrakhan. Always use the hashtags #TheTime and #Farrakhan on Twitter! If you’re not fast on Twitter, just retweet those who are. 4. If a question, attack or critique is posed to you during or following Minister Farrakhan’s broadcast, please follow his instructions and argue in the best of manner. Engage the people! 7. 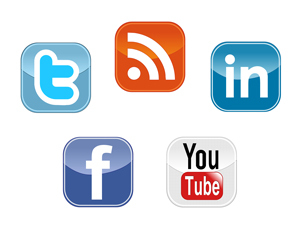 Once a day, engage your social media following on some aspect of Minister Farrakhan’s broadcast. You can simply copy and paste his words from his weekly column found on FinalCall.com. Spark conversation. See you online every Saturday evening!